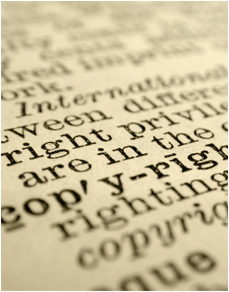 Clients often ask our copyright attorneys about international copyright protection for their creations. Copyright law does not have a centralized system in place for registering IP protection internationally like with patent law and trademark law. Instead, certain foreign countries protect works of authorship created in the U.S. while others do not extend copyright protection to U.S. authors. Thus, international copyright protection requires a country-by-country analysis by an experienced copyright attorney. When considering international copyright protection, it is advisable to secure a registered copyright for your creation. If you are interested in international copyright protection, our copyright attorneys can advise you of the protections available in different countries of interest to you. The Copyright Office´s International Copyright Protection circular is a good starting point for information on international copyright protection. When considering international copyright protection, it is advisable to secure a registered copyright for your creation. If you would like to register your copyright and consider international copyright protection, our copyright attorneys are ready to help.